The accident happened around 5:30 in the afternoon at I-80 and Greenback Lane between a Chevy Suburban and Jeep SUV. It was reported that one of the vehicles rolled over and ended up on its roof. The vehicle of the hit and run driver ended up on the right-hand side of the road, where the person exited the vehicle and was reported as running westbound toward Madison. At least one person was injured in the collision, and emergency medical treatment was requested. No further information has been released on the condition or identity of that individual. A hit and run is defined as occurring when a driver leaves an accident site before giving the other driver his or her contact information or offering assistance. If an accident is minor, the driver will stop and provide their name, address and telephone number as well as registration, insurance, and license information. 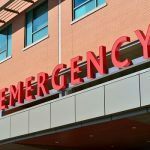 Alternately, when someone is hurt in the accident, whether seriously or not, the driver is expected to call for help and remain at the site until police and emergency personnel arrive. In addition, if a driver hits a parked vehicle, a note with their information should be left on the windshield or another prominent place. Fault is not a factor in hit and runs, leaving is the only criteria. There are a few exceptions to the above rules. A driver who lacks a cell phone but needs to call for assistance can leave the scene to make the call, but it is expected they will return. Alternately, it might be necessary to leave the scene if immediate medical care is needed. However, providing contact information to the other driver before leaving is important. 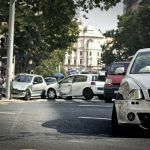 What Should a Driver Do When They Have a Hit and Run Accident? Note the make, model, and color of the vehicle. If you saw the license plate number as the vehicle sped away, or even a portion of it, write it down. Try to remember if you saw any decals on the vehicle, what they were and where they were placed. If the vehicle was damaged in any way, write it down. If you saw the driver of the hit and run vehicle, describe what you can remember. Any distinguishing features are helpful. Talk to witnesses. They might have additional information about the crash and the vehicle or driver. Call your insurance company as soon as you can, and let them know what happened. They will assign someone to monitor your case. When police arrive, ask them for a copy of their accident report, and keep in touch with them about their investigation into the case. 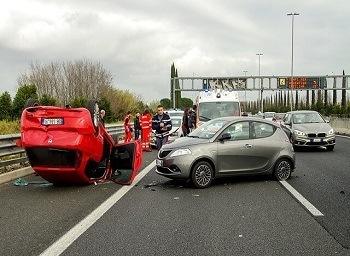 If your vehicle was damaged and you have collision coverage, it will pay for damages. Additionally, if you have Med Pay, your physical injuries will be covered. If the driver is not apprehended, you will be covered under your own underinsured/uninsured coverage. I’m Ed Smith, a North Highlands car accident lawyer. 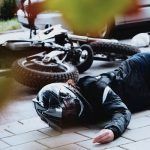 When you are involved in a hit and run accident, you benefit from the advice of an injury lawyer. To obtain free and friendly advice, call (916) 921-6400 or (800) 404-5400. You can go to my contact us page to reach me online. 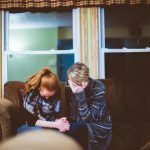 I’ve helped people in North Highlands for over 36 years with all types of car accidents to assist them in obtaining the compensation they deserve. I’ve also handled traumatic brain injury and wrongful death claims. I am a long-time member of the Million Dollar Advocates. Membership in this forum of trial attorneys is limited to those lawyers who have won more than $1 million for a client.